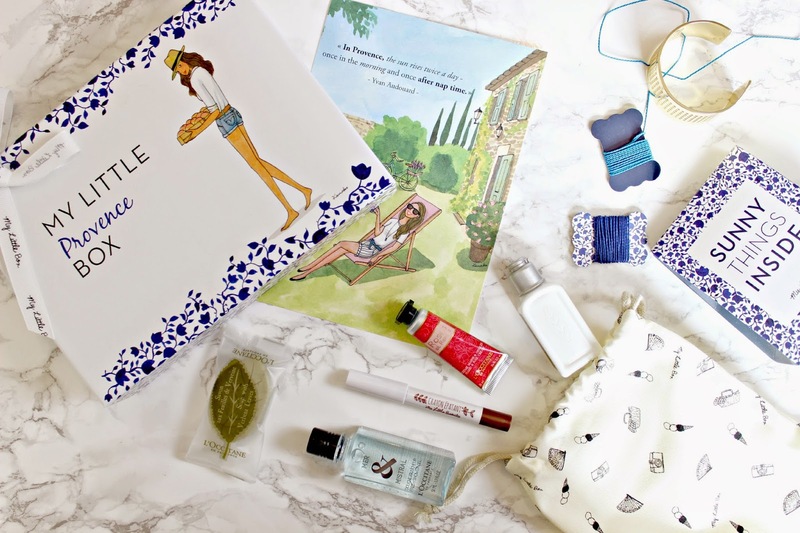 Last week we were invited to the L’Occitane store in Covent Garden to discover more about My Little Box, and their collaboration with L’Occitane – a match made in heaven! 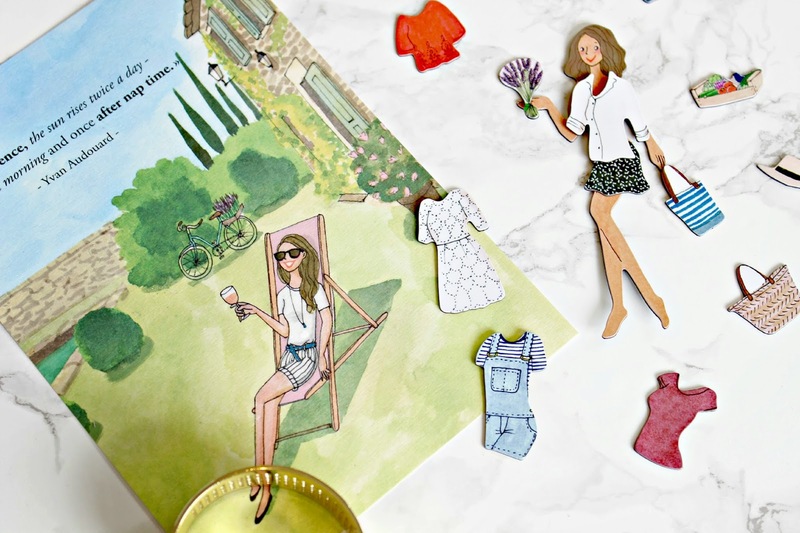 Both brands are the epitome of the French lifestyle – you know, cycling down the the boulangerie on your shabby chic bicycle, with flowers in the basked, to pick up your freshly baked baguette.. anyway, I digress! Inside is a selection of some of the best selling products from L’Occitane in cute mini sizes; the En Provence Mer & Mistral Shower Gel which has the most fabulous smell – like a dreamy seaside mix of fresh salty air and a little bit of sun lotion mixed in for good measure! A L’Occitane classic is also included; their En Provence Roses et Reines Hand and Nail Cream, the most fabulously soft and luxurious hand cream which sinks in almost instantly, and nourishes hands leaving a delicate rose fragrance. Also inside is a mini soap and Body Lotion which both have a fresh organic scent, the body lotion is the perfect size for my gym bag or a travel beauty bag, and the soap gently exfoliates skin and so also works as a moisturiser – such a multi tasker! At the Little Box event we were treated to heavenly hand massages which began with a deep scrub using a L’Occitane scrub – we were told the importance of using scrub on your hands as otherwise you apply hand lotion and it just gets absorbed by the top layer of dry skin. Some other products in the box include The Amazing Pencil (RRP £9) which is a fabulous metallic bronze creamy eyeshadow crayon which is just the handy-est product for your on-the-go makeup bag, it’s so easy to swipe the crayon over your lids while you’re on the run and blend with your finger, and it rotates up so no need for a sharpener. A Dress up My Little Doll fridge magnet sheet is also included which is such an adorable touch – I love how the sketch theme is continued throughout all the My Little Box products and packaging and these magnets are such great fun – i’ll be surprising my 10 year old niece with these when I see her next weekend! 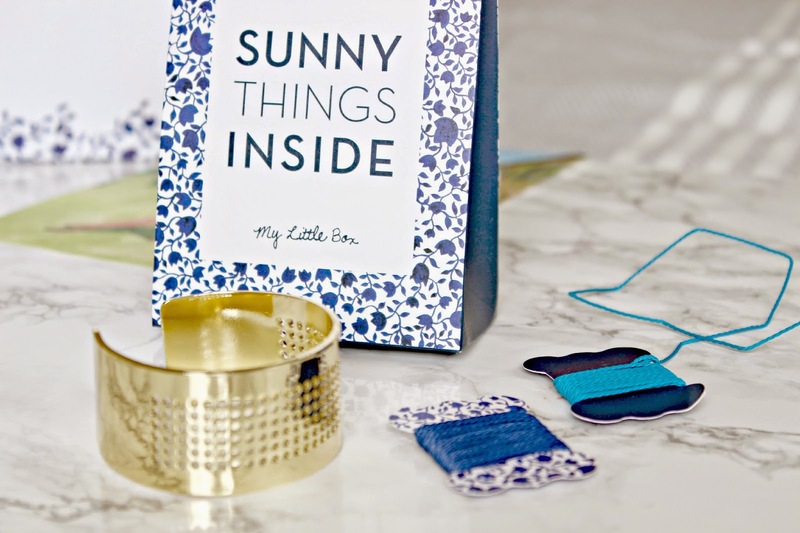 Finally a fun DIY accessory kit is included in the box; a gold cuff bracelet with two blue toned threads and a tutorial for how to create a unique bracelet – a lovely crafty idea to spend one afternoon out in the sun completing – i’ll be sure to instagram an image when mine is done! 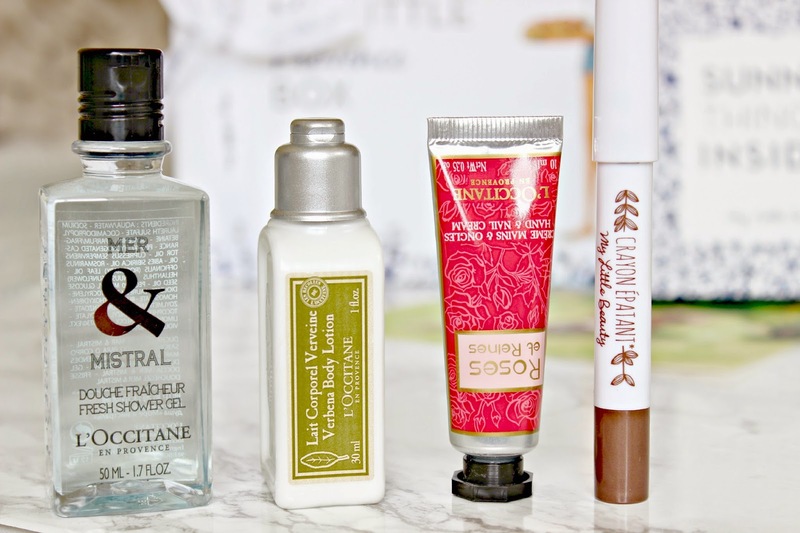 Overall this is by far the most well thought out monthly box which covers not just beauty, but fun lifestyle products too – so far from being yet another beauty box. Including postage, the boxes are £14.95 which is a super price for all the goodies you get to try out inside. Have you ever tried My Little Box?